Updates on completed projects and those still in progress. In the warmer months most of Boffa Miskell's ecologists are away from the office and out in the field. Recording data and taking photos is an essential part of any ecological survey. A first-of-its-kind playspace for Auckland has opened, based on traditional Maori games and play artefacts. Te mara hupara playground is part of Te Auaunga Awa in Mt Roskill, Auckland. A journey towards reinstating and restoring a thriving cultural ecosystem and habitat. Placemaking capitalizes on a local community's assets, inspiration, and potential, with the intention of creating public spaces that promote people's health, happiness, and well-being. It's an on-going element of the Riverlink project. 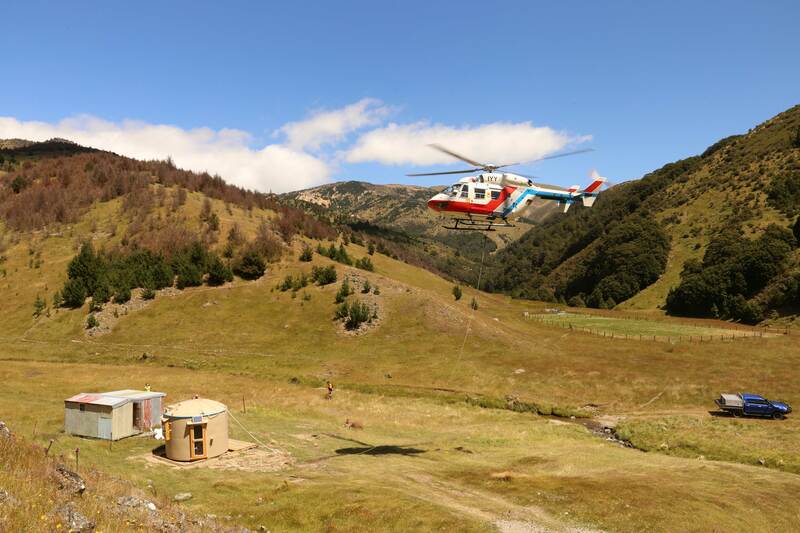 Portable accommodation built from a repurposed 26,000 litre plastic water tank is the latest innovation in the fight against wilding pines in Southland’s vulnerable high country. Biodegradable hessian matting continues to be at the front line of defense against the spread of the invasive weed lagarosiphon in Lake Wanaka. West Coast tourism will benefit from an $87.46 million investment from the Provincial Growth Fund (PGF), including a commitment of $25.6 million in funding for Dolomite Point at Punakaiki. 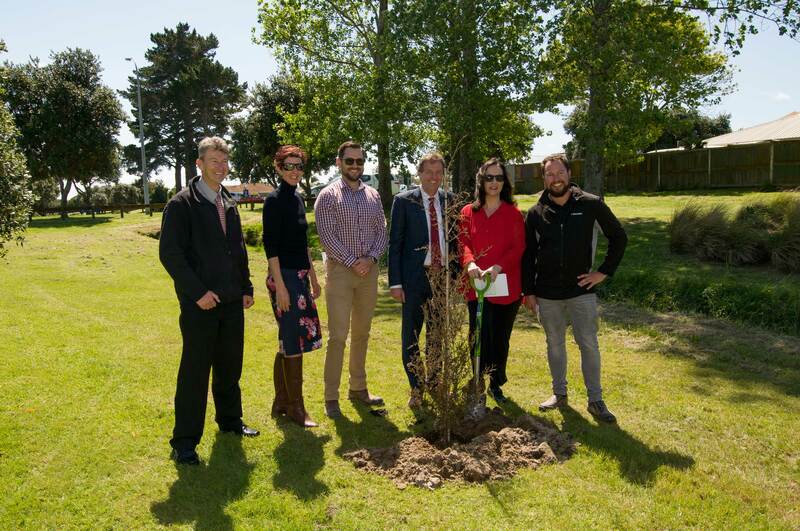 A ceremony on the banks of the Wāirakei Stream, and the planting of five kahikatea marks the start of a landscape enhancement plan for Te Ara O Wāirakei and Wāirakei/Taylor Reserve in Papamoa. 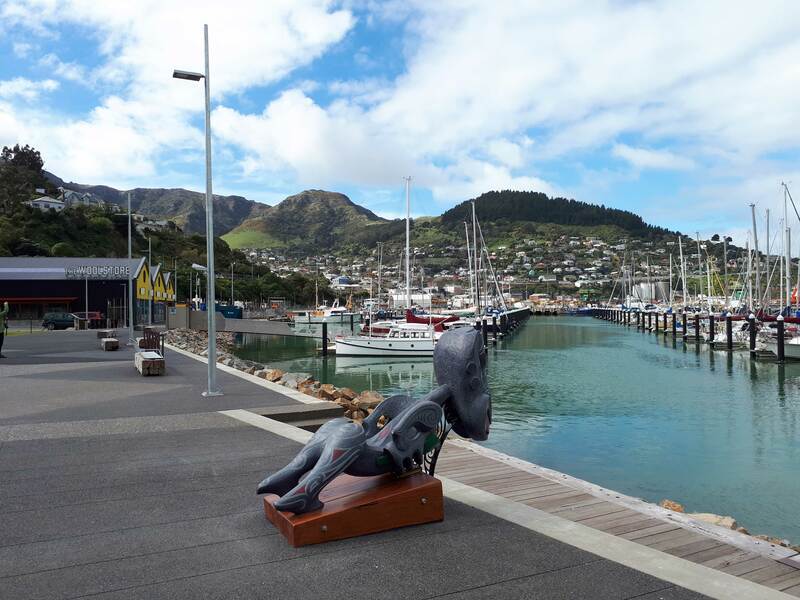 Congratulations to Waterloo Business Park - winner of the Resene Urban Design Award at the 2018 Property Council New Zealand Southern Excellence Awards. 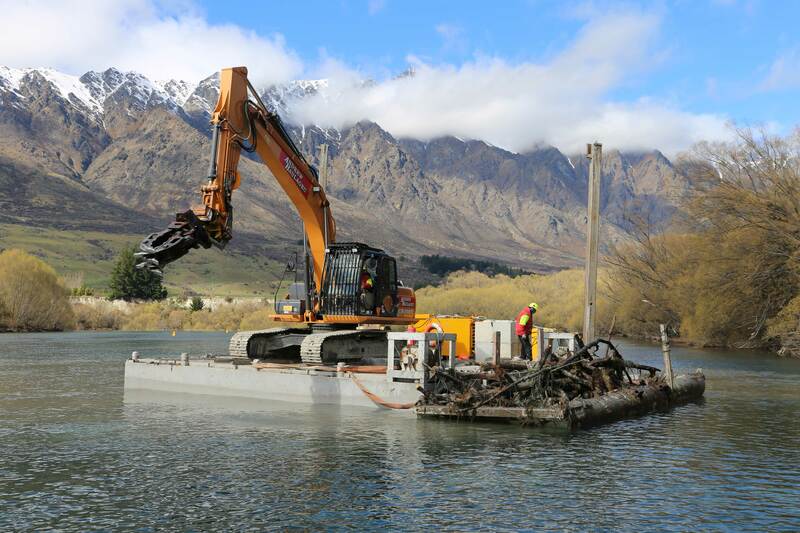 Keeping Lake Wakatipu free of the fast-growing invasive weed lagarosiphon takes considerable effort. Industry and community recognition keeps coming for Te Onewa Pā. The project's latest commendation is the coveted Arthur Mead Award, presented by the Auckland branch of Engineering New Zealand. Boffa Miskell has delivered a Draft Reserve Management plan for Lindvart Park in Kaikohe to the Far North District Council (FNDC). Pukaha Mount Bruce National Wildlife Centre received two awards from the Australasian Zoo and Aquarium Association. Close to 200 delegates from 12 countries gathered for the conference, which was hosted by Wellington Zoo. The kiwi may be New Zealand’s official bird and it has a kooky Dr Seuss-ian appeal, but for charm and personality, a 30 cm-tall little blue penguin (Eudyptula minor) is tough to beat. A long-neglected spot under the Harbour Bridge has been restored. An e-newsletter highlighting the work being done by our ecologists. Boffa Miskell ecologists have been working with our client OceanaGold to identify and protect native plants and animals at several proposed exploration sites in the Parakiwai Valley in Coromandel Forest Park. Mariner Rise reserve and playground, a joint ecology and landscape project around a Special Housing Area on Whangaparaoa Peninsula, north of Auckland, was officially opened in late October. The consultation process is now underway for the Ōtāhuhu Town Centre Streetscape Upgrade project in Auckland. To accommodate future growth, the upgrade aims to improve connectivity and infrastructure through transformation of the streets and public spaces. A new subdivision being developed by the Ngā Potiki a Tamapahore Trust will see new houses built in Papamoa, including affordable housing for members of the Ngā Potiki hapu. At a dawn ceremony, components of the New Zealand Memorial Garden were farewelled on their journey to the Passchendaele Museum in Zonnebeke, Belgium. Locals using the newly opened Mackays to Peka Peka (M2PP) section of the Kāpiti Expressway are seeing their district from a new perspective and appreciating the extensive environmental enhancements. Maximising green spaces in a medium density housing area. Boffa Miskell lends a helping hand to the new cultural hub of Foxton. Boffa Miskell is providing master planning services to develop the largest sport and recreation park in Selwyn. Business parks should be places where businesses want to be and where people want to work. But what happens after work? Will everyone leave or will people stay on to enjoy the area in other ways? The key to success in managing a district plan review is a close working relationship with the council and a collaborative consultation process. How do we manage the effects of development on native wildlife? One way is to move animals out of harm’s way, during construction, into specially created habitats. When designing a playground, who better to ask for inspiration than children? A collaborative design and engagement process will help achieve multiple benefits from the widening and restoration of 1.3 km of Te Auaunga Awa (Oakley Creek) in Mount Roskill, Auckland. The first duplex unit has been built at the Waihi Road Special Housing Area in Tauranga, less than twelve months after the development was first mooted. When student services at the University of Canterbury were relocated into a building designed for staff rather than students, Boffa Miskell landscape architects faced design challenges to make the entrance and surrounds more inviting. In the heart of Foxton, the proposed Te Awahou - Nieuwe Stroom Cultural and Community Centre will play a key part in revitalising the former river port town. As the 18-kilometre M2PP Expressway forges ahead from MacKays Crossing to Peka Peka on the Kāpiti Coast, a dedicated Boffa Miskell team is working at the Paraparaumu-based M2PP Alliance project office, providing landscape, ecology and urban design input. In restoring New Zealand’s largest cluster of category 1 heritage buildings as a creative hub in central Christchurch, what landscape treatment is appropriate? Restoring waterways is a very satisfying part of the Boffa Miskell practice. In late February, a flurry of activity in our Auckland Office saw staff preparing and lodging submissions on clients’ behalf to meet the deadline for initial submissions on the PAUP. Over the last two years, Boffa Miskell has assisted natural health and beauty products company, Comvita, to redevelop its Bay of Plenty headquarters. Clearing residential red zone areas unsuitable for rebuilding and providing for the retention of amenity and ecological values until decisions are made about the lands future. The Boffa Miskell-designed ‘Wetland Waka’ garden is one of 19 finalist entries completed for the May opening of the 2013 World Landscape Art Exposition in Jinzhou, a world-wide design competition run by the International Federation of Landscape Architects and Jinzhou City. Boffa Miskell is delighted to be working in collaboration with Nelson Byrd Woltz on a masterplan for Auckland’s historic Cornwall Park that will look 100 years into the future. 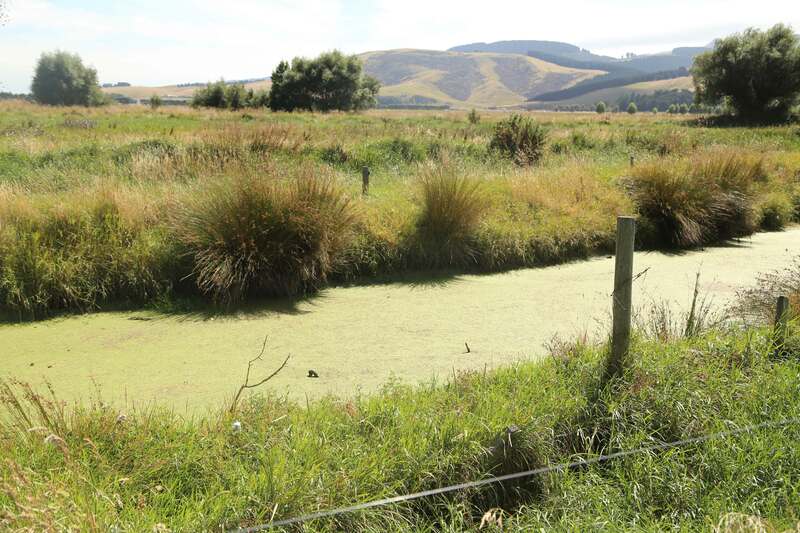 An independent Board of Inquiry, appointed by the Minister for the Environment, recently approved the proposed MacKays to Peka Peka Expressway north of Wellington, bringing to fruition three years of preparatory work. In 2012, Boffa Miskell assisted Comvita New Zealand to obtain the necessary planning approvals the company needed to redevelop and expand its commercial and manufacturing headquarters at Paengaroa in the Bay of Plenty. Stage 1 of the redevelopment is now well underway. Two significant milestones for the Ruakura growth area east of Hamilton are the culmination of over three years’ intensive work. Regional Park: celebrating the past. Presenting ecological evidence at the Board of Inqury hearing. The $340-million Victoria Park Tunnel upgrade of State Highway 1 in central Auckland, has been completed - with urban quality to the forefront. A 40-hectare parkland, designed by our landscape architects in China, will soon create a green corridor through a new satellite town being constructed east of Zhenjiang City area in China.